This graphic illustrates the flow of ancient people among the Americas, based on the new findings published in the journal Cell. These remains—the oldest analyzed as part of this project—are about 11,000 years old and were located in Central Chile. The first analysis of high-quality ancient DNA data from Central and South America—from 49 individuals, some as old as 11,000 years—has revealed a major and previously unappreciated early population turnover. The study, "Reconstructing the Deep Population History of Central and South America," was conducted by an international team that included researchers from the University of California, Santa Cruz, Harvard Medical School, and the Max Planck Institute for the Science of Human History. Their results show that a distinctive DNA type associated with the first widespread archaeological culture of North America (Clovis) was also found in Chile, Brazil, and Belize 9,000-11,000 years ago. The findings suggest that the people who spread the Clovis culture also had a major demographic impact further south. 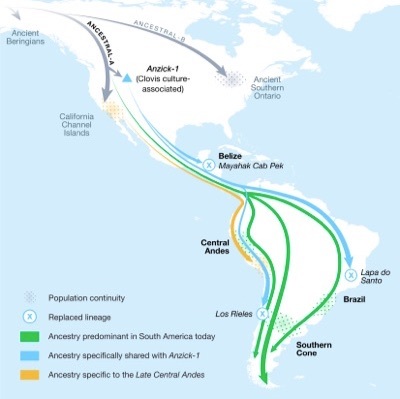 But this Clovis culture-associated lineage is missing in later South Americans, documenting a continent-wide population replacement that began at least 9,000 years ago. The researchers worked closely with indigenous communities and government agencies to obtain permits for analyzing these ancient human remains. 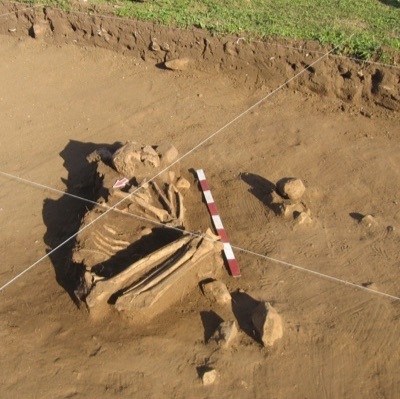 The genomic data analyzed previously were less than 1,000 years old. "A key discovery was that a Clovis culture-associated individual from North America dating to around 12,800 years ago shares distinctive ancestry with the oldest Chilean, Brazilian, and Belizean individuals," explained co-lead author Cosimo Posth of the Planck Institute. "This supports the hypothesis that the expansion of people who spread the Clovis culture in North America also reached Central and South America." These individuals from Chile, Brazil and Belize date to more than 9,000 years ago. However, younger individuals and present-day people in South America do not share the Clovis culture-associated ancestry that characterizes the oldest individuals. "This is our second key discovery," said co-senior author David Reich from Harvard Medical School and the Howard Hughes Medical Institute. "We have shown that there was a continent-wide population replacement that began at least 9,000 years ago." 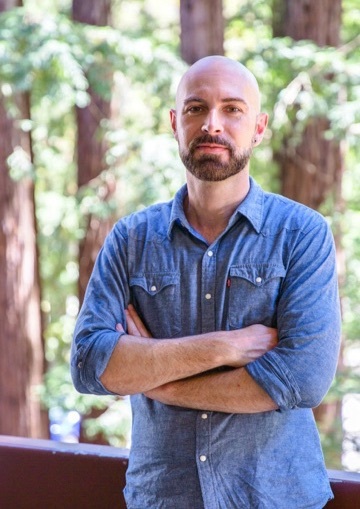 "This is unlikely to reflect migration specifically from the Channel Islands into South America," said co-senior author Lars Fehren-Schmitz, an associate professor of anthropology at UC Santa Cruz. Instead, the researchers hypothesize that the connection between these regions is the result of dispersals of people that occurred thousands of years earlier, and that such ancestry became more widespread in the Andes after subsequent events within South America. "It could be that this ancestry arrived in South America thousands of years before and we simply don’t have earlier individuals showing it," said Nathan Nakatsuka of Harvard Medical School, co-lead author of the study. "There is archaeological evidence that the population in the Central Andes area greatly expanded after around 5,000 years ago. Spreads of particular subgroups during these events may be why we detect this ancestry afterward." The researchers emphasize that their study gives only a glimpse of the discoveries that may come through future work. To learn about the initial movements of people into Central and South America, it would be necessary to obtain ancient DNA from individuals dating to before 11,000 years ago. The picture is far from complete even for the period between 11,000 and 3,000 years ago that is covered in this study. "We lacked ancient data from Amazonia, northern South America and the Caribbean, and thus cannot determine how individuals in these regions relate to the ones we analyzed," explained Reich. "Filling in these gaps should be a priority for future work." "We are excited about the potential of research in this area," stated co-senior author Johannes Krause of the Planck Institute. "With future, regionally focused studies with large sample sizes, we could realize the potential of ancient DNA to reveal how the human diversity of this region came to be the way it is today." The team also included researchers from Pennsylvania State University, the University of New Mexico, the University of São Paulo, and other institutions in Australia, Brazil, Belize, Chile, Argentina, Peru, the European Union, and the United States.